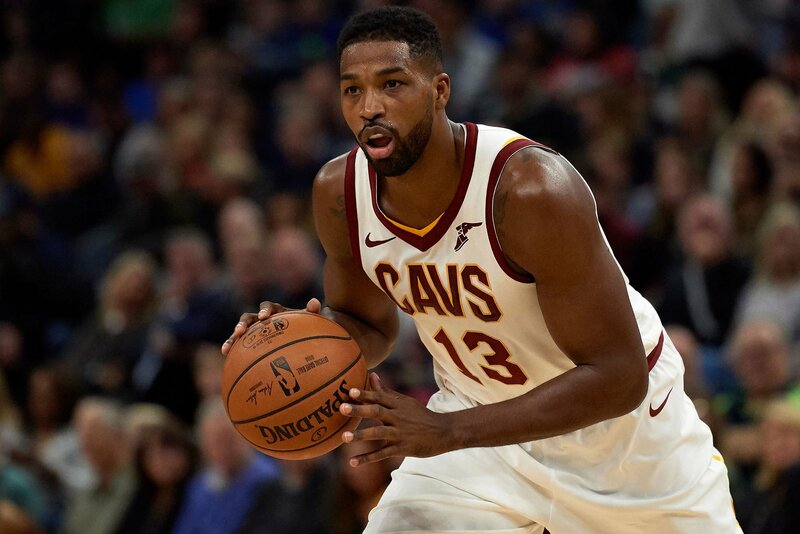 Tristan Thompson is in the doghouse again. On Thursday, the NBA announced it would fine Khloe Kardashian’s boyfriend $15,000 for “making an inappropriate gesture toward a spectator,” stemming from an incident that occurred during the Cavaliers’ Monday game against the Nets in Brooklyn. Thompson, 27, flipped the middle finger to hecklers in the stands at the Barclays Center, as seen in footage obtained by TMZ. The 5-19 Cavaliers would go on to beat the Nets, 99-97. Meanwhile, Thompson’s relationship with Kardashian, 34, appears to be on the upswing following a very public cheating scandal earlier this year. The “Keeping Up with the Kardashians” staple supported the Cavaliers forward at a game in Cleveland back in October. The couple welcomed daughter True Thompson in April.